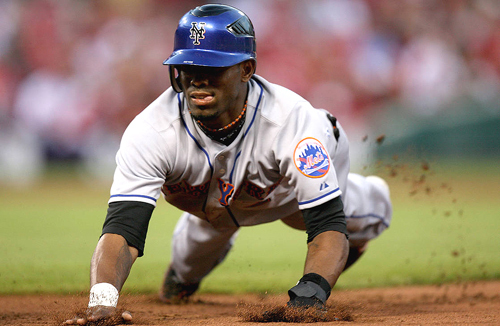 The New York Mets just got the news today that star shortstop Jose Reyes has a small tear in his hamstring tendon. They recieved this info after Jose undertook an MRI early this morning This will just be another injury for Jose to sustain this year. This is a “new” injury according to our team sources. The Mets are really downplaying the severity of this injury, so everyone should keep this story in the front of thier minds. Jose will resume treatment for his achilles tendinitis in two days the Mets report. Jose should be back in the BIGS in around two weeks. Just remember everyone, Jose is awesome. Tagged: How is jose reyes's hamstring, Jose Reyes calf injury, Jose Reyes Hamstring Injury, Jose Reyes injury, Jose reyes is out again?, Jose Reyes new injury, New York Mets, When will reyes be back?, when will Reyes return?